The 20th Century is a stranger to me--I wish it well but my heart is all for my own century. I took 65 years of it, just on a risk, but if I had known as much about it as I know now I would have taken the whole of it. 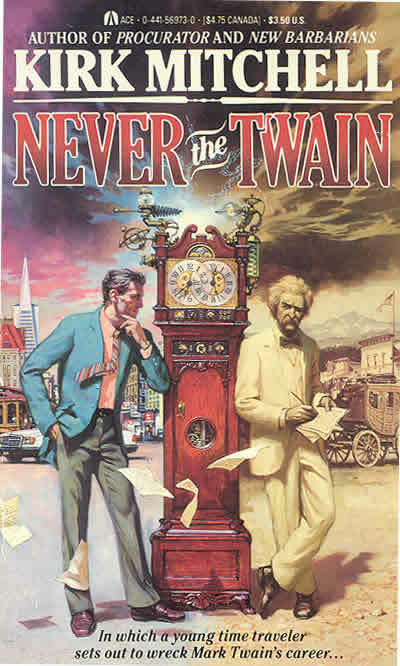 Kirk Mitchell's time travel novel featuring Mark Twain. 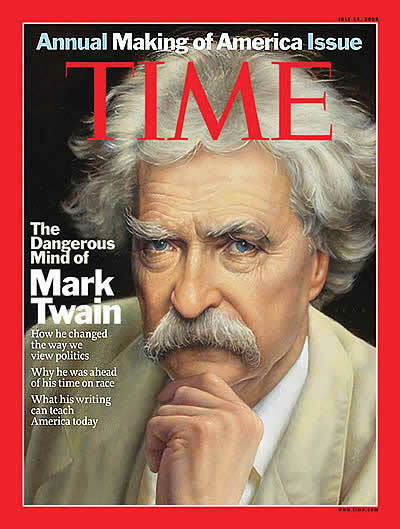 I wish I owned the clock too -- and that it really worked for time travel! There is in life only one moment and in eternity only one. It is so brief that it is represented by the fleeting of a luminous mote through the thin ray of sunlight--and it is visible but a fraction of a second. The moments that preceded it have been lived, are forgotten and are without value; the moments that have not been lived have no existence and will have no value except in the moment that each shall be lived. While you are asleep you are dead; and whether you stay dead an hour or a billion years the time to you is the same. Let us adopt geologic time. Then -- time being money -- there will be no more poverty.